For storage admins charged with following the 3-2-1 law of backup, it’s very easy for these copies to spiral far beyond three, and for all of them to fall out of sync with one another. Managing multiple copies of data, infrastructure, software, and hardware can be complicated and expensive. 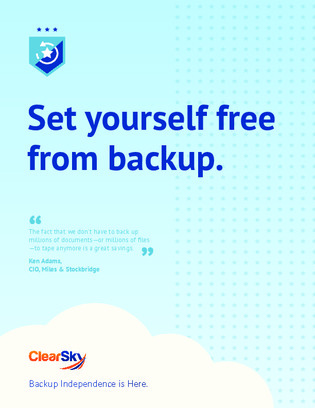 But is there such a thing as backup independence, in which enterprises won’t need regular backups and instead have access to them on-demand (for example, to recover from ransomware)? This short paper investigates the concept. Read on for more.